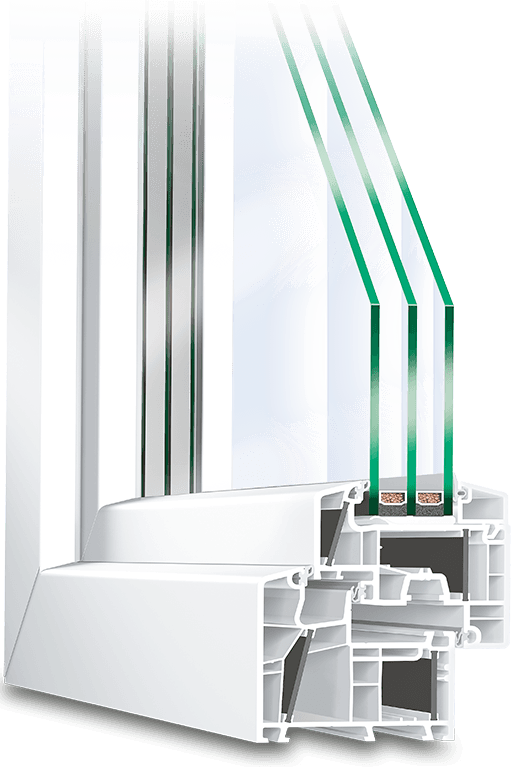 With its 85 mm profile depth, six chambers and carbon fibre reinforcement, the Energeto 8000 is designed for new construction whose goal is excellent insulation values, including Passive Houses. 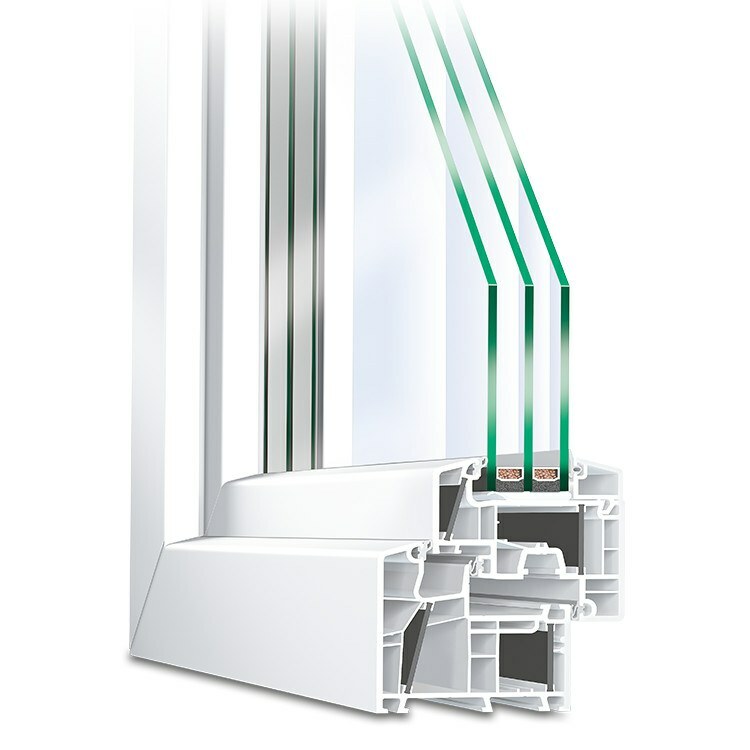 Although uPVC doesn't begin with the same natural insulating properties as wood, advanced German engineering and manufacturing techniques enable the Energeto 8000 profile to achieve 0.78 W/m2K u-values with triple glazing and warm edge spacers. 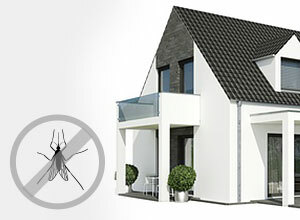 uPVC is more robust and requires little upkeep from homeowners. 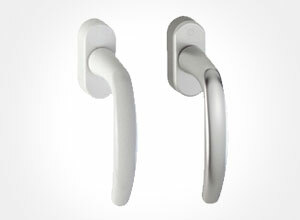 The use of multiple chambers and carbon fibre instead of steel make this uPVC profile both environmentally friendly and easy on your purse strings. 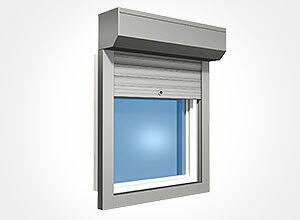 The larger profile of the Energeto 8000, with its 85 mm frame depth, makes effective use of the multi-chamber design principle. 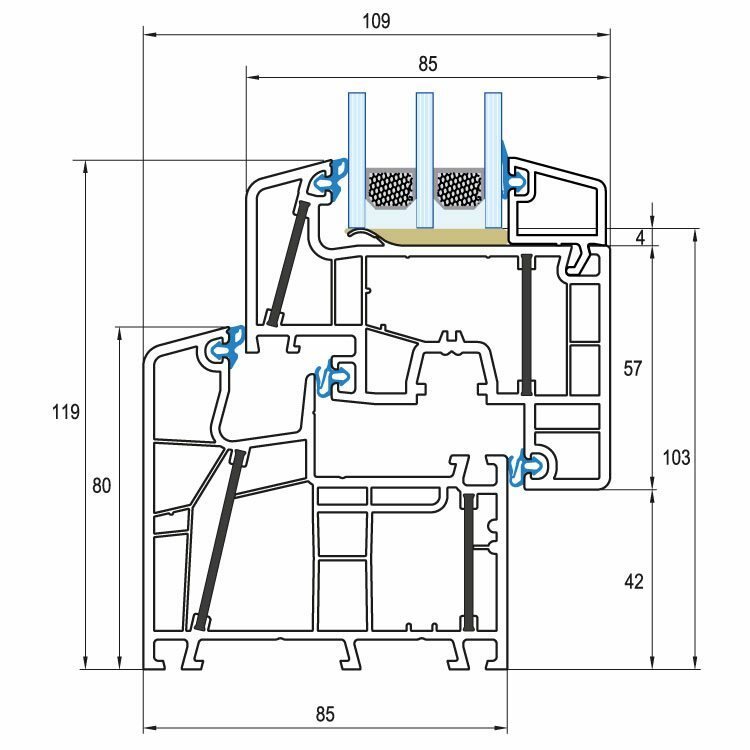 By utilising innovative carbon fibre reinforced inserts, internal chamber volumes are optimised all without the disadvantages of thermal bridging from steel inserts. 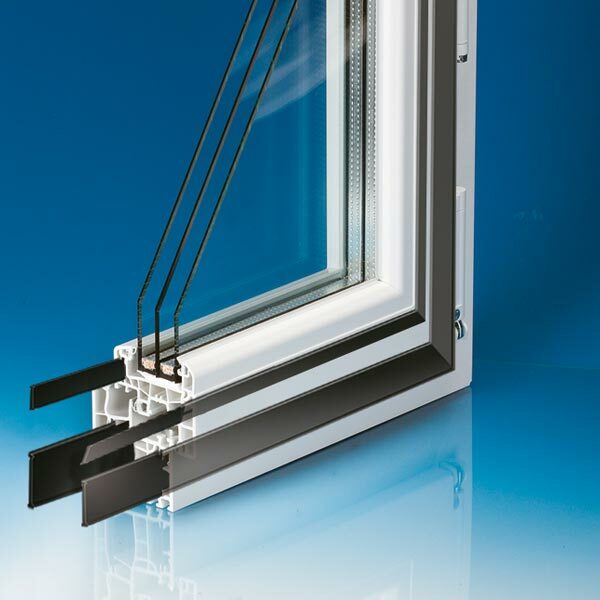 Fully bonded double or triple glazed units allow Energeto 8000 windows to achieve excellent u-values, even up to passive house standards (below 0.8 W/m2K). 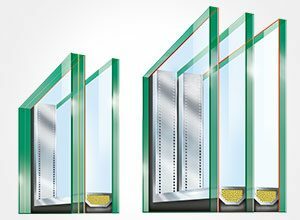 Multi-chamber technology and a range of glazing options to achieve u-values of 0.78 W/m2K. 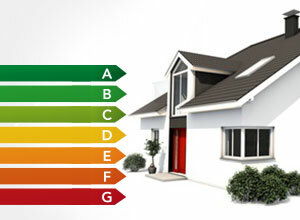 A huge range of options allow the Energeto 8000 to be customised to individual projects. 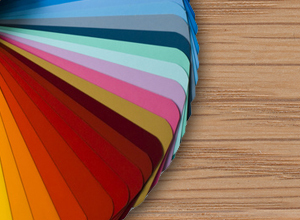 You can choose from a wide selection of colours and decors for both the inside and outside of the frame, including different colours on each should you desire. 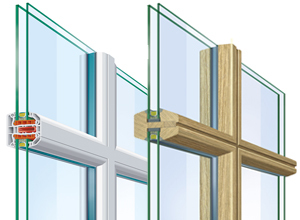 Further upgrade options include acoustic insulation glass, concealed hinges, ornamental glass and higher security levels (resistance classes). 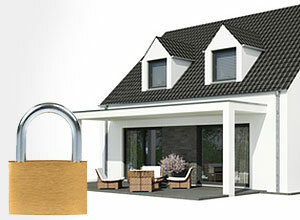 In addition, Energeto 8000 windows can also be equipped with roller shutters, providing further privacy and burglary protection. 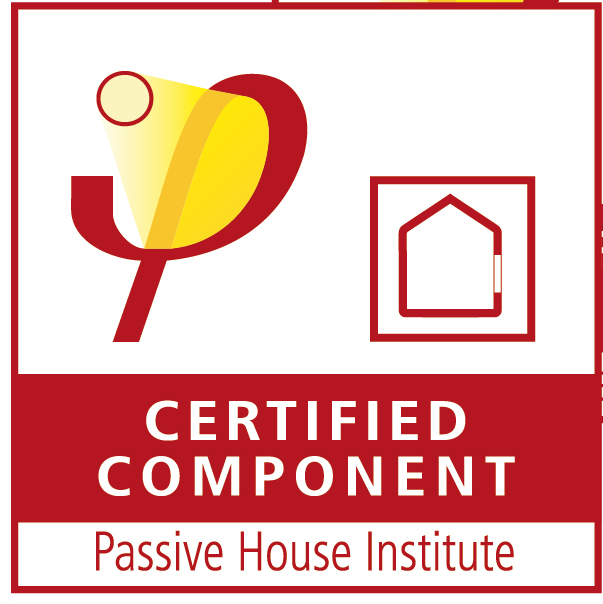 If these many customisation options weren't already enough, uPVC profiles are available at lower prices than wood and aluminium clad options while offering superior thermal performance!